If you wished to boost the image quality taken by your Canon EOS 70D camera, you just come in the right place. Here, we can share you the newest upgrade of the firmware. This firmware is in the 1.1.2 version. It can give many changes from the previous version. What are they? First of all, you can have better performances. If you use the IS USM lens, which is in EF-S 18-135mm f/ 3.5-5.6 version or IS II USM lens in EF 70-3—mm f/4-5.6 version, you must sometimes experience that the correction does not come even though you already enabled the setting of lens aberration adjustment. If you are sick of that trouble, you can easily get rid of it by installing this firmware. It will let you take pictures comfortably with no such troubles. For more, all upgrades from the previous version will also included in this firmware. Therefore, if you do not follow the previous updates, you do not need to worry as it all covers up in this one. Please kindly understand that this firmware is suitable for the Canon EOS 70D, which still use 1.1.1 version of firmware. If your camera is already in the 1.1.2 version, then you will not need to install it. For more information, this firmware’s size is around 13 MB and it uses English as the language. When you have downloaded the file, it will create a firmware folder automatically. However, it does not happen, then all you need to do is just double click the folder. In the folder, you will get the firmware and the instruction to update it. This document is in PDF format, and it is available in five different languages; which are English, Japanese, Spanish, French, as well as Chinese. Please read the document thoroughly before you start to update the firmware. 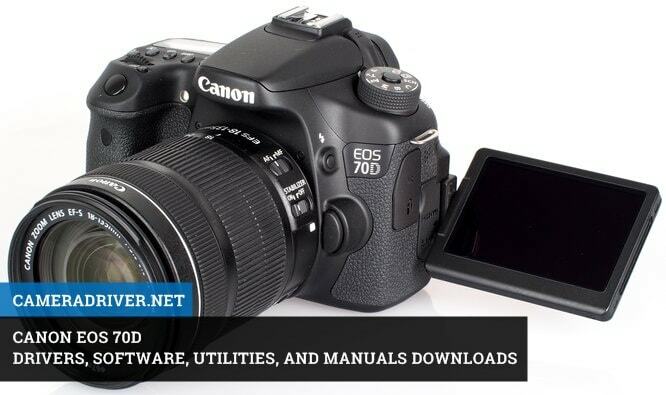 0 Response to "Get this Newest Firmware to update your Canon EOS 70D"